The Google Nexus 7, manufactured by Asus, is an Android slate with 7-inch 1280×800 screen and a 1.3GHz NVIDIA Tegra 3 quad-core processor. The tablet runs Android 4.1 Jellybean. And this Google Nexus 7 is also a great media player which supports a lot of media formats including files with MP4, H.264 as video format and MP3, WAV, eAAC+, WMA as audio format. If you want to play your movies and videos on Asus/Google Nexus 7, you need a Asus/Google Nexus 7 Movies Converter. Guide: How to Convert Movies or Video to Google Nexus 7 with High Quality? Tip: After set the video/audio parameters for Google Nexus 7, you can click on “Save as” button in Profile Settings Panel where you could freely rename the optimized profile for Asus/Google Nexus 7 (like My Favorite Asus/Google Nexus 7 Video) so that you can easily choose it from the User Defined category for next use without resetting it again. 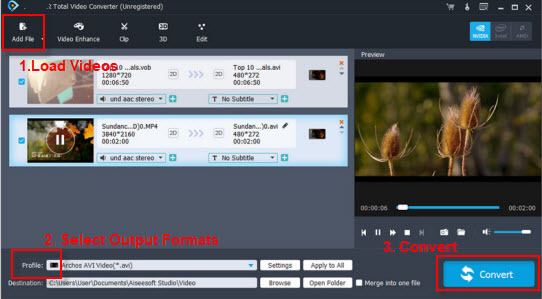 Click Apply to all beside Settings button to apply the output format and settings to all files, then click the “Convert” button to start the Movies like HD videos, TiVo, MXF, MKV, MTS, M2TS, TS, MOD, TOD, FLV, F4V, AVI, QuickTime MOV, VOB, MP4, MPG, MPEG, SWF, ASF, MVI, NSV, DVR-MS, NUV, MPV, YUV, DAT, VP6, EVO, VRO, DV, etc to Asus/Google Nexus 7 Conversion, and the task(s) will be done at a amazing speed and perfect output quality. That’s it, just with three steps you can convert Movie/Video to Asus/Google Nexus 7 MP4 with Movie/Video to Asus/Google Nexus 7 Converter mentioned in this article. 1. 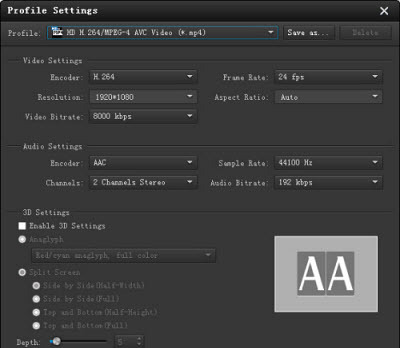 Trim: You can trim your video files to capture and convert your favorite video clips for playing on Asus/Google Nexus 7. 2. Crop: You can crop your video area to remove the black video sides for playing on Asus/Google Nexus 7 in full screen.